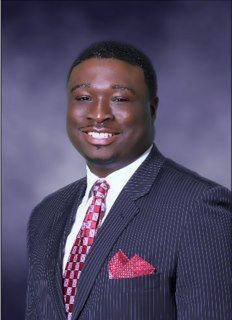 The Greater Sacramento Area Chapter of the Leukemia & Lymphoma Society (LLS) has nominated William “Jahmal” Miller for the 2013 “Man of the Year.” The Sacramento native has set a personal goal of raising over $100,000 for the campaign that kicks off on Thursday, February 28, 2013. Supporters may follow Miller’s campaign and receive updates including how to donate via his Facebook page. In addition to raising funds towards a cure, I hope to help increase awareness by drawing attention to the startling disparities that exist within communities of color,” stated Miller. “Access to health care coverage, socioeconomic status and prevention awareness should not be determining factors in the incident and death rates for any group including African Americans. African Americans/Blacks have the highest overall cancer incident and death rates of any racial or ethnic group. As a community and a region, this is a statistic we have to change. Lives are at stake. Every year candidates around the country compete in a spirited 10-week campaign for the title of The Leukemia & Lymphoma Society’s “Man & Woman of the Year.” Candidates are judged solely on their success in raising money to help LLS fund research to find cures and better therapies for cancer, and provide information and support to blood cancer patients and their families. Every dollar raised counts as one “vote.” Each LLS chapter names local winners, and the highest fundraisers nationally are named National Man & Woman of the Year. The local ten-week campaign begins with a Kick Off Celebration, to be held on Thursday, February 28, 2013, and culminates with the Grand Finale, a black tie gala on Saturday, May 11th, 2013. Candidate fundraising events are held in the weeks between the Kick Off and the Grand Finale. Contributions can be as low as $1 or less and amounts of giving are limitless. All funds raised will be used for life-saving blood cancer research, financial assistance, programs and assistance to patients and their families. This is a unique opportunity to support local volunteers, including Miller, and help name one person “Man of the Year” through their fundraising efforts. A native of Sacramento, Miller has over 14 years of professional experience within healthcare including past positions at Sutter Health and his current role as communications manager for Kaiser Permanente’s National Community Benefit, Health Policy and Research Division. Miller graduated with a bachelor’s degree in psychology at Columbia University and a Master of Science in Healthcare Administration (MHA) at the University of Southern California. In addition to his career, Miller’s deep commitment to improving healthcare extends to his community involvement. Miller has served on the boards of the HERS Project, National Association of Health Services Executives, American Diabetes Association, American Heart Association, Bloodsource, Faith Fellowship Community Church and the Ronald McDonald House Charities. He currently serves as the co-chair for the Regional Action Committee of the Sacramento Metro Chamber of Commerce’s young professional program, Metro EDGE. He is a proud husband and father of two beautiful daughters. Miller was featured as a Black Man in Leadership in the February 2008 issue of THE HUB Magazine and been nominated on several occasions for 40-under-40 lists. Aside from his specific efforts to increase awareness, Miller has made a personal commitment to continue encouraging all people to donate blood, register with the national bone marrow registry, engage others and simply make a commitment to sustain this effort. Disparities elimination has always been has been the guiding objective of my personal mission,” said Miller. “I’m equally proud of all of the professional and volunteer efforts that have allowed me to strive toward this objective; however, my service on the Bloodsource Blood & Bone Marrow Advisory Council best illustrates life-changing and even life-saving results that really show what can be accomplished when people and resources are leveraged to foster health equity. If you would like more information about the Man, Woman & Students of the Year campaign and have an interest in supporting, please contact Jennifer Pear, Campaign Manager at (916) 929-4720. An estimated 44,600 new cases of leukemia are expected to be diagnosed in the United States in 2011. In 2011, about 662,789 people are living with lymphoma or are in remission (no sign of the disease). Males are expected to account for nearly 57 percent of the new cases of leukemia. The Price Is Right…Exactly Right ! !